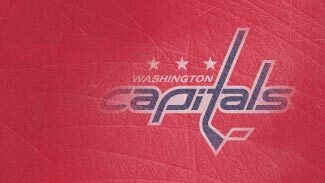 The Washington Capitals have the same unfinished business entering this season, the same as they did prior to last season. Despite two straight seasons with at least 90 points, a pair of Southeast Division titles and capturing the hearts of fans over the past two seasons, playoff failures have been frustrating. In 2008 it was a first-round loss to the Philadelphia Flyers. In 2009, it was a second-round defeat at the hands of the eventual Stanley Cup champion Pittsburgh Penguins. Last season's seven-game loss to the Penguins hurt plenty. Not only did the Caps fail to take advantage of a 2-0 series lead, but their 6-2 loss in Game 7 took place on home ice. Still, no matter how disheartening the previous two playoff seasons have been, the Capitals are exciting to watch. It's tough to put down the remote control when forward Alex Ovechkin is about to touch the puck or when defenseman Mike Green is about to uncork his deceptive snap shot from the circle. Expect much of the same when viewing the Capitals again this season. Coach Bruce Boudreau's wish, however, is that his club maintain its intensity for four rounds in the postseason. It all starts with Ovechkin. Last season, Ovechkin, still only 24, became the third-youngest player to win consecutive Hart Trophies -- capturing 115 of a possible 133 first-place votes -- after leading the League with 56 goals. Additionally, Ovechkin led the NHL in points per game (1.39), shots (528), power-play points (46), and was the highest point-producer after the All-Star break (51 points). Washington General Manager George McPhee reeled in some veteran leadership over the summer with the acquisition of forwards Mike Knuble and Brendan Morrison -- two moves that could help ease the departures of Sergei Fedorov and Viktor Kozlov to Russia. • Anytime a coach can put Alexander Ovechkin on the ice, there's reason for optimism. Ovechkin recorded his 200th career goal and 200th career assist in 2008-09, joining Wayne Gretzky and Mario Lemieux as the only players to produce such totals in their first four NHL seasons. • The additions of forwards Mike Knuble and Brendan Morrison will help bolster an already potent offense. Knuble has scored 20 or more goals six straight seasons and 10 or more power-play goals in four straight. • Capitals assistant coach Bob Woods will help relieve some of the burden on Boudreau this season. Woods, who will serve primarily as team's defensive coach, won a Calder Cup as coach of Washington's AHL affiliate in Hershey last season. He was an assistant to Boudreau in Hershey during the team's Calder Cup championship in 2006. Woods replaced Boudreau in Hershey when Boudreau was hired by the Capitals on Nov. 22, 2007. "I think (Knuble and Morrison) are going to help in many ways," Boudreau said. "Morrison has something to prove and I always like guys that have something to prove. He's been mediocre by his standards the last two years and wants to get back to elite status. Knuble was a 27-goal scorer last year and is a big, strong-bodied guy. We expect some good production from both these guys." Boudreau is quick to note the exodus of Fedorov doesn't necessarily mean Brooks Laich would become the team's third-line center behind Nicklas Backstrom and Morrison, either. "We like Brooks at left wing," Boudreau told NHL.com. "Look at our centermen right now. You look at where Brooks would fit in and you've got Backstrom, Morrison, (David) Steckel, (Boyd) Gordon and (Michael) Nylander and, all of a sudden, if Brooks goes to center, it's pushing some pretty good players out. We could use him as a left wing or a guy who works our power play and penalty kill. He'll probably play both (center and wing) at some point, but we'd hope he'd stay at left wing." The Capitals had three players who were riding a point-per-game scoring pace last season in Ovechkin (1.39), Backstrom (1.07) and Alexander Semin (1.27). Captain Chris Clark is ready to make an impact after missing 64 games in 2007-08 and 46 more last season to various injuries. The team suffered a setback earlier this month when left wing Tomas Fleischmann, a potential second-liner, was diagnosed with a blood clot. Fleischmann, who had 19 goals and 37 points in 73 games last season, is out until at least mid-October. His absence could provide wingers Chris Bourque, Eric Fehr, Quintin Laing or Alexandre Giroux an opportunity to earn a roster spot out of training camp. Entering camp, the top eight consisted of Mike Green, Tom Poti, Shaone Morrisonn, Brian Pothier, John Erskine, Jeff Schultz, Milan Jurcina and Karl Alzner. It appears as though that lineup will be trimmed to seven before the club's season opener Oct. 1 in Boston. So at this point, Alzner, the fifth pick of the 2007 Entry Draft, is in a fight to make the final cut. Former Calgary Flames' GM Craig Button is an analyst for the NHL Network. The Caps have an attack mentality. They come at opponents in so many different ways that it is extremely difficult to stop them. Similarities to the dynasty days of the Edmonton Oilers are evident throughout their lineup. 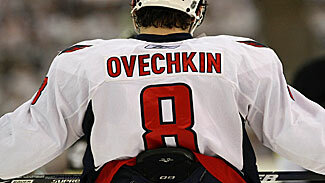 Alexander Ovechkin is a force of power and skill and his engine revs at high RPMs. Niklas Backstrom has the precise vision and puck skills to create offense when he has the puck. Alexander Semin is always dangerous and takes some of the scoring onus off Ovechkin. Mike Green jumps into the rush as well as any defenseman in the league and creates challenges for the best of defences. Semyon Varlamov showed the calm, cool demeanor necessary to win in the playoffs. Visions of the Stanley Cup are clearly in their sights. "There's a great battle at defense because I think we really have quality defensemen," Boudreau said. "The media may not think so and they claim that's our weak spot -- I think it's a strength. We've got 11 guys who have played at least 16 games in the NHL and were very good for us last year." Could prospects Tyler Sloan or Sean Collins unseat one of the established blueliners entering the season? John Carlson, who was the most NHL-ready of the two dozen players in attendance at the Capitals' developmental camp this summer, was assigned to AHL Hershey on Sept. 22 but could return to Washington at some point. Boudreau insists there's no goalie controversy in Washington. Until further notice, veteran Jose Theodore is the starter. Theodore went 32-17-5 with a 2.87 goals-against average and .900 save percentage in 57 games last season. "I think the media likes to make the controversies more than we do," Boudreau said. "Theo is the guy who has to be knocked off his perch and we have two guys that want to do that. If this were a boxing match, Theo would be like the champ -- someone would have to beat him good to get the job. You're not just going to win by being his equal." Semyon Varlamov, selected No. 23 by the Caps in 2006, was the team's best option during the 2008-09 Stanley Cup Playoffs, going 7-6 with a 2.53 GAA and .918 save percentage in 13 games. There's a very good chance Varlamov could unseat Theodore, or at the very least, provide a stable backup. Boudreau also is fond of goalie prospect Michal Neuvirth, who was named MVP of the 2009 American Hockey League playoffs after going 16-6 with a 1.92 GAA, .932 save percentage and three shutouts in 22 games with the Hershey Bears.